A few weeks ago my brother and his wife came down to visit. They were spending the night so I knew I needed to make them something for breakfast. 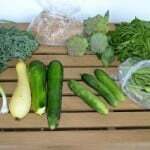 Usually I make quiche for breakfast whenever we have guests overnight but I was using all the vegetables from our CSA to make kebabs for dinner. Also, I wanted to make something that was fast yet filling and tasty. 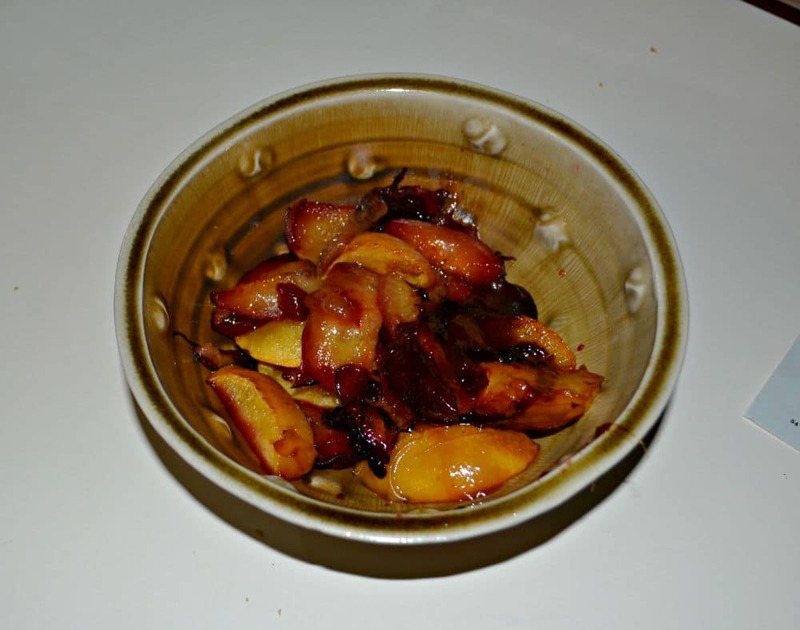 I came across a recipe for Roasted Plum Parfaits and when I looked in the fruit bowl I saw several peaches and plums. I figured I could roast them both and make a delicious breakfast parfait. 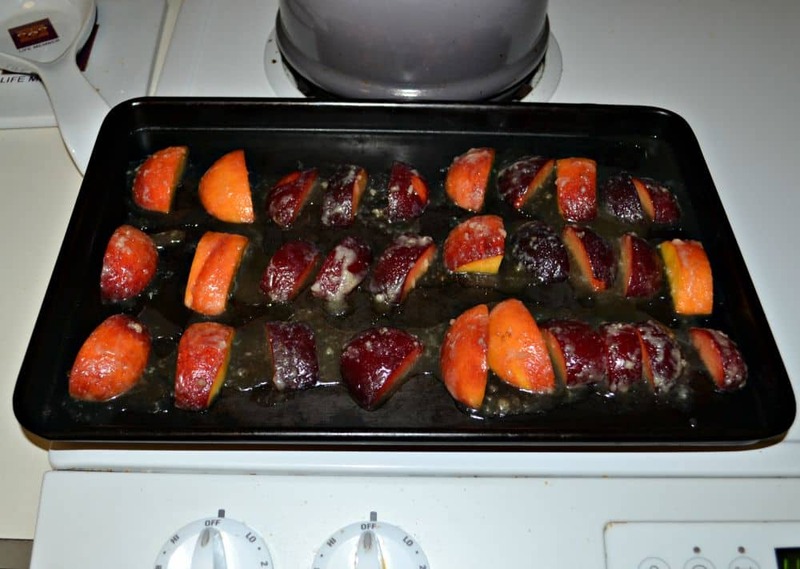 I roasted the peaches and plums first thing when I woke up in the morning. The got soft and smelled so good. The juices because very syrupy and I scooped all of it into a bowl and placed it into the refrigerator to cool. 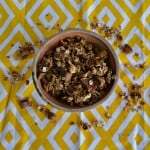 While you can certainly use store bought granola, making homemade granola is super easy so I actually made a batch the day before to use in the parfaits. Layering the parfaits once my brother and his wife were up was the easy part. 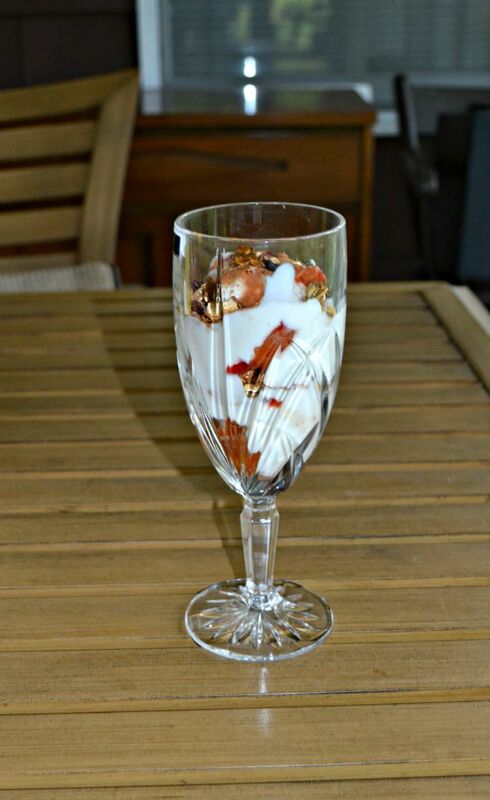 I simply put the roasted fruit on the bottom then layered it with vanilla yogurt and granola. Then I repeated the layers again, ending with a dollop of yogurt, and spoonful of the syrupy juice from the fruit, and a sprinkle of cinnamon on top. 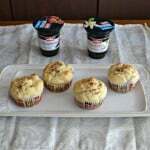 The resulting parfaits were really pretty. The layers were easy to see and I placed them in cut crystal glasses that made them look elegant as well. This is a great breakfast for house guests because everything can be made in advance then layered when it’s time for breakfast. 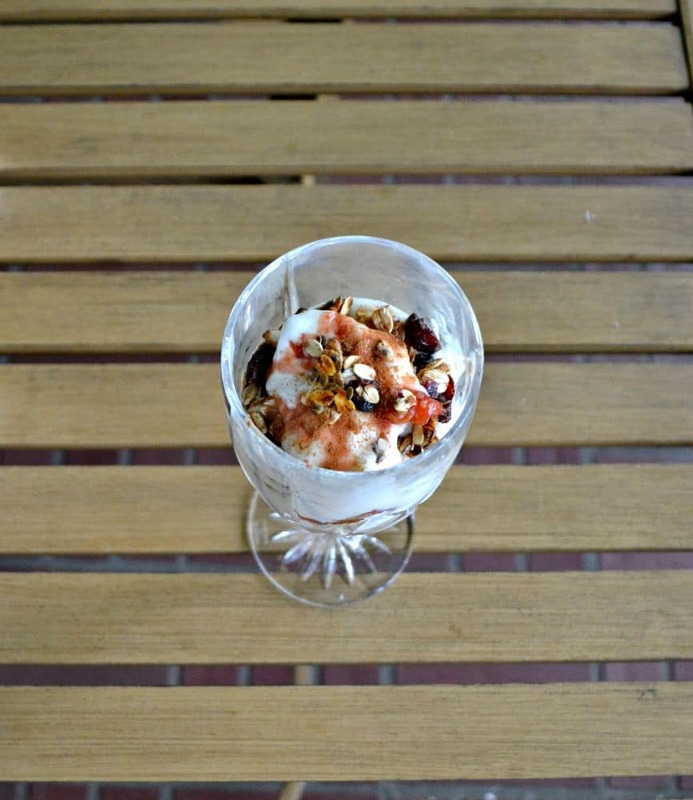 The sweet fruit, crunchy granola, and creamy yogurt worked wonderfully together in this parfait. 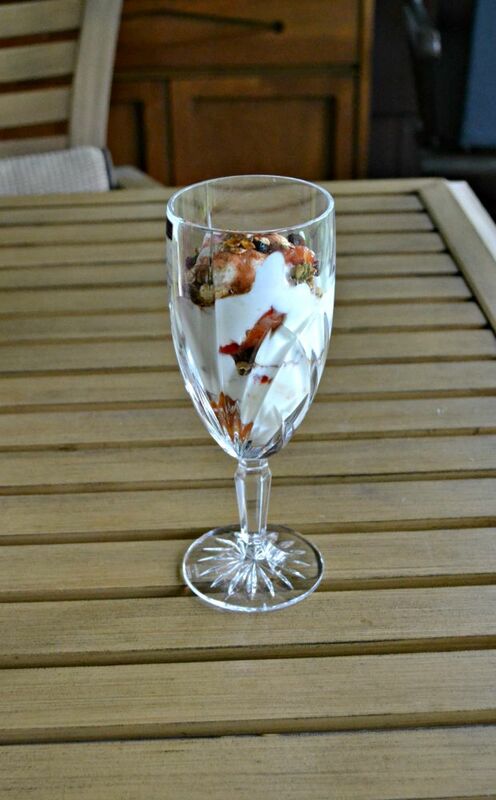 Delicious roasted peaches and plums layered with vanilla yogurt and homemade granola make a tasty and filling breakfast parfait. Preheat the oven to 375 degrees. Line a cookie sheet with parchment paper. In a medium bowl combine the oats, flax seed, almonds, brown sugar, honey, and sea salt. Toss to coat. Spread the mixture on the prepared cookie sheet and bake for 15-20 minutes, stirring every 5 minutes. Remove from oven and stir in the craisins if desired. Allow to cool. Break apart and store in an air tight container. Combine the peaches, plums, lemonade, brown sugar, butter, and salt in a medium bowl. Toss to coat. Arrange the fruit on a 13 x 9 baking sheet. Bake for 18-25 minutes or until the fruit is soft and the juices are syrupy. 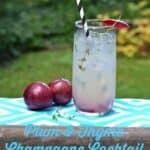 Too make the parfaits place 3 plum or peach wedges in the bottom of 4 glasses. Layer with 3 tablespoons of yogurt and sprinkle with 2 tablespoons of granola. Repeat these layers once. Place a dollop of yogurt on top, one peach or plum wedge, and then drizzle with the cooled pan juice. Sprinkle with cinnamon and serve immediately.